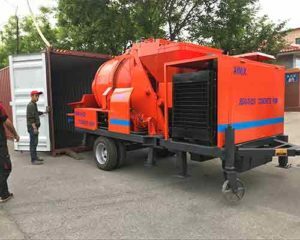 Aimix Machinery Group manufactures the best quality mobile asphalt units for over 20 years, we focus on the quality and design of machines. Besides, Aimix always chooses the advanced material to make the machines lighter and more effective. Although our price is not the lowest in the construction market, we still have developed a lot of loyal customers that have bought our asphalt mixing plants and used our service. Aimix has sold over 20 sets of portable asphalt plants to Uzbekistan for the last one year. What’s more, Aimix has established one office in Uzbekistan to support our clients with after-selling service and installment problems. Our teams in Uzbekistan have kept great touch with every customer and they have been good friends now. 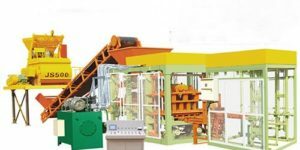 Our clients would love to introduce their friends to visit our machines and buy our plants. 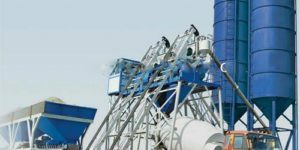 Aimix always produces one set of asphalt mixing plant on stock so that it is convenient when some of our visitors want to have an inspection in our factory. This time, we just completed manufacturing one set of asphalt mixing machine in our factory. Once there are clients want to visit our plants, they can directly start the mixing plant and text the functions of our machine. This way has helped our customers better know the features and advantages of our asphalt batching plant unit. 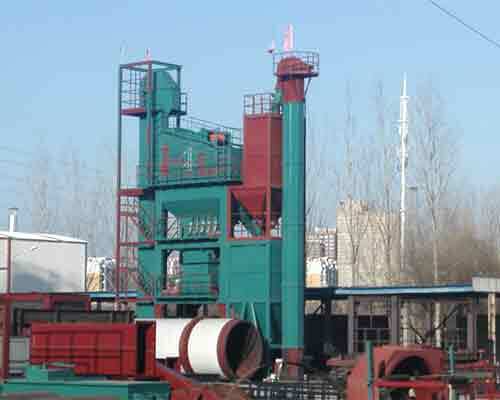 If our customers are satisfied with the current asphalt plant, we can arrange the shipment right away. On the other hand, if our customers want another new set of plant with different specifications and demands, we can start the producing just according to the request of our clients. Aimix supports the best after-selling services and always help the installation of plants for our clients. After our clients booked one set of LB1000 asphalt mixing plant, we arranged the manufacturing work at once to make sure the plants components could be shipped on time to Ukraine. When we packed the components to the container, we also arranged one or two installation engineers to the construction site and helped our clients to install the plant and text the working functions. 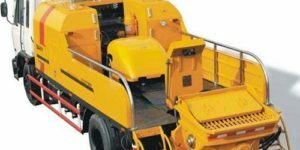 We are specialize in designing and manufacturing construction machines for several years. 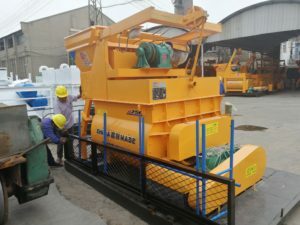 One of the most popular machines is concrete pumping equipment in Aimix Machinery Group. We are dedicated to produce more and more advanced concrete batch mixture machine with good quality and pretty competitive price. 1 year warranty and more than 8-10years working life , about 60% market customers purchased from our company. Kindly contact me if any questions. It is our pleasure to be on service of you. We are a high-tech manufacturer, which is committed to producing high quality construction machines, with more than 30 years experience. Our factory has been preparing for shipment of HZS35 concrete batching plant for sale to UZ these days. 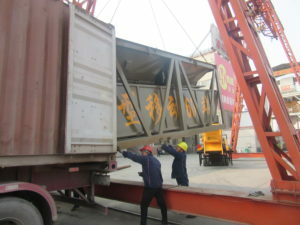 The following pictures are our cement silos and concrete mixer packed to container. We have developed a lot of customers in UZ. 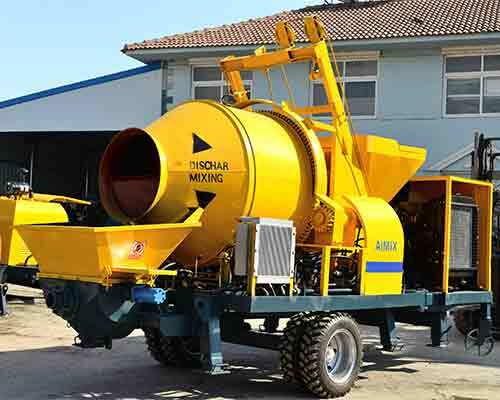 All of our clients are satisfied with our concrete mixing equipment and have re-booked machines from Aimix for many times. A lot of customers come to visit our concrete pumping equipment for sale after we have built warehouse and office in UZ. They can have a look at our the newest machine in the warehouse and decide which machine is suitable for their new engineering projects. 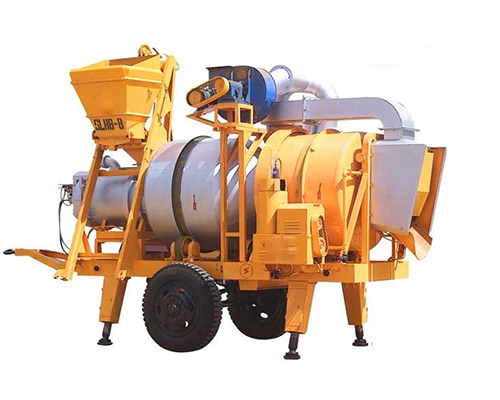 Welcome to ask us for quotation if you have any needs for concrete mixing machines. As a professional manufacturer of concrete mixing equipment in China, Aimix Machinery Group has rich experience on ready-mixed concrete equipment manufacturing and sales to all over the world more than 30 years. Among all of our concrete mixing machines, the electric and diesel concrete pumps with mixer for sale are the most popular machine for the construction market. We almost 300 units of concrete pumps to more than 30 countries in 2017. And last month, we sold one 25 cubic meter electric type concrete pump to Russia. Otherwise, we have established a warehouse in UZ, which is convenient for packing and delivery of our machines to the Russian markets. 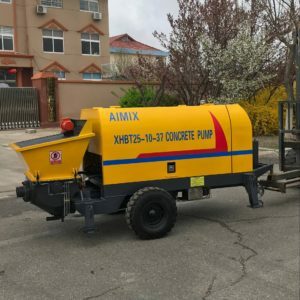 As a professional manufacturer and supplier of concrete making machines in China, Aimix Machinery Group has developed a lot of markets all around the world, especially to Uzbekistan. We have established house and warehouse in Uzbekistan and sent employees to UZ. Our new-designed mobile ready-mixed concrete units are very popular in UZ market. Until the end of April, 2018, Aimix has exported over 22 sets of concrete mixing plants machines to UZ. All of those plants are operated for our customers’ projects. 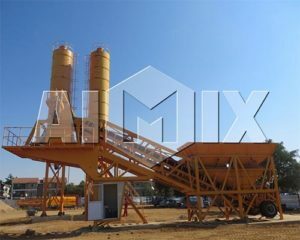 Buy hot sale small concrete batching plant in Aimix Group. All of our machines are designed with the actual demand from our clients. We usually provide installation service after we selling our machines to the whole world. 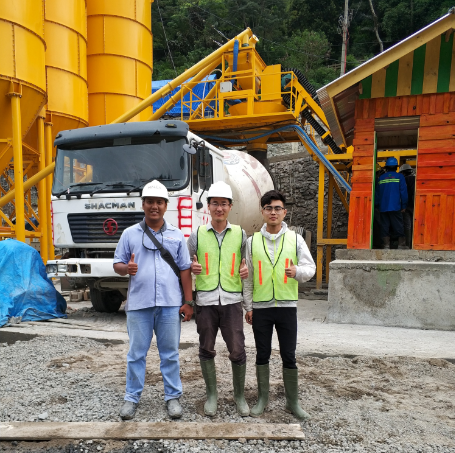 The following photos are about we sent two installation engineers to help our clients install and text the brand-new small concrete batching plant in Indonesia. 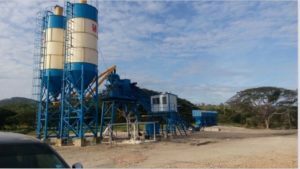 We have sold over 8 sets of concrete batching plants to Indonesia in 2017. Our hot sale concrete batching mix plant is high technology concrete batching plant, equipped with ice make, water cooling system, aggregate cooling system, high capacity batch per cubic meter. Those plants are intended to produce 4 million cubic meter of concrete for the whole project of our Indonesia clients. We provide small concrete batching plant for sale, full-auto concrete batching plant for sale and so on. 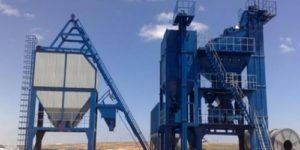 Contact us for best price and quality of mobile mix concrete plant now ! Leading technology , different products, will bring you great business value. 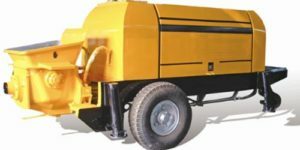 We offer all kinds of concrete pump with mixers. Among our pump equipment, the most popular machine is our diesel concrete mixing pumps. Most of our customers from all over the world like its design and think it is the most useful machine for all construction sites and engineering projects. 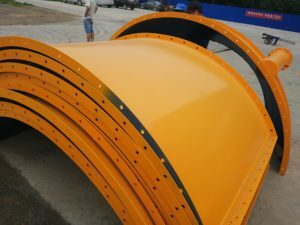 We, Aimix Construction Machinery Co., Ltd., is a supplier of all construction equipment located in Zhengzhou, China. Our main products are ready mix concrete plant, asphalt mixing plant, dry mortar production line and other concrete pump equipment and other construction machinery. And we have acquired CE certificate and other qualified certificates for exportation. With experiences through years of export, our advantages are not only quality and price, but also capability and flexibility on meeting customers’ requirements. Just feel free to try us with your requirements and get satisfying respond! Thanks! All the operation is controlled by the central control system. Click the mixing button, the mixing tank will clockwise rotate and mix the aggregate and sand materials with water. Click the discharge button, the mixing tank will counterclockwise rotate and discharge the processed concrete. All the operations are simple and easy-controlled. Contact me，The pretty product catalog and attractive price will be presented to you. 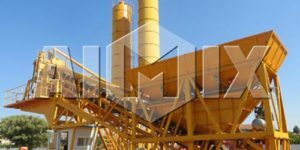 We specialize in manufacturing all kinds of concrete mixing plants. And our company emphasize on the after-sale service, therefore we have gained a lot trust from our customers. Almost all of our old customers will re-buy our machine when they have any new needs for any construction machines. This customer from Burkina Faso bought one set of concrete mixing plant one year ago. Recently he re-bought one set of YHZS25 Concrete Mix Plant in our company. Our machines are of high quality and we commit to develop our business to the whole world. 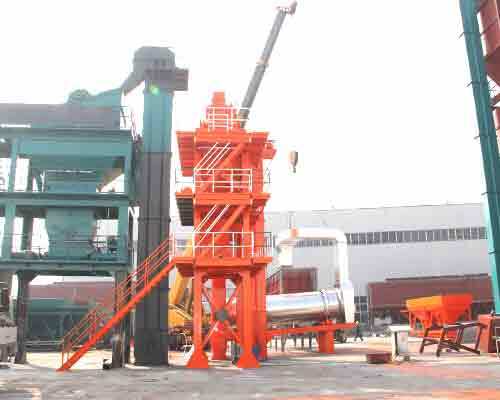 So if you have any needs for concrete mixing plant or other construction machines, please feel free to contact us. We will provide you the best service and high level machines.